My apologies to miss sharing this pizza place which continue to use the highest quality & freshest ingredients with the most fluffiest dough, richest mushroom soup with lots of mushrom bits in it, list goes on … that I have ever tasted in most pizza chains. Also, you won’t want to miss the unique jalepeno chili and their very own buttery cream sauce at no cost. Let’s spread this and hope everyone who has not tried would grab this opportunity to enjoy Papa John as much as I do. Trust me, there should be no regrets and worth every penny spent from the 2 major steals available now for dine-in/take-away/delivery. However, do be warned of the services which could be abit sloppy sometimes. Super Lunch RM9.90++ with ONLY RM1 add-on for 2 scoops ice cream (choice of vanila/strawberry/chocolate), avail everyday 12-3pm, dine-in only. All day Buy 1 Free 1 for 9″ (RM21.90 n.p.) and 12″ (RM29.90 n.p.) 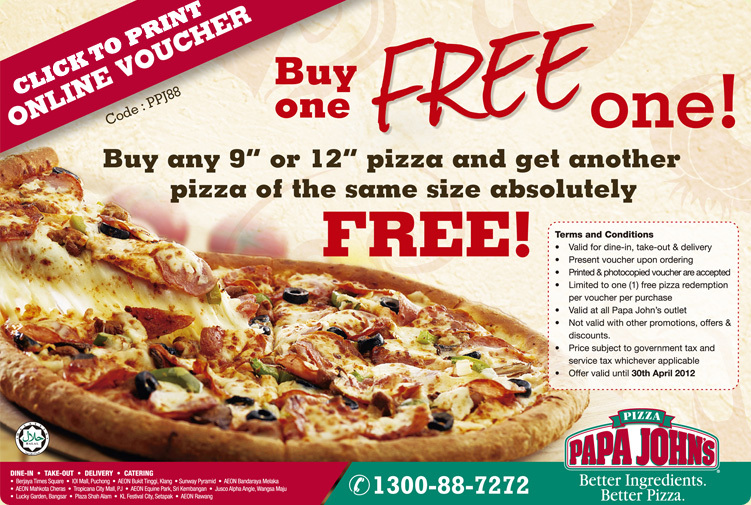 pizza, applicable to dine-in/take-away/delivery, bring the coupon below or click HERE to download from their website. 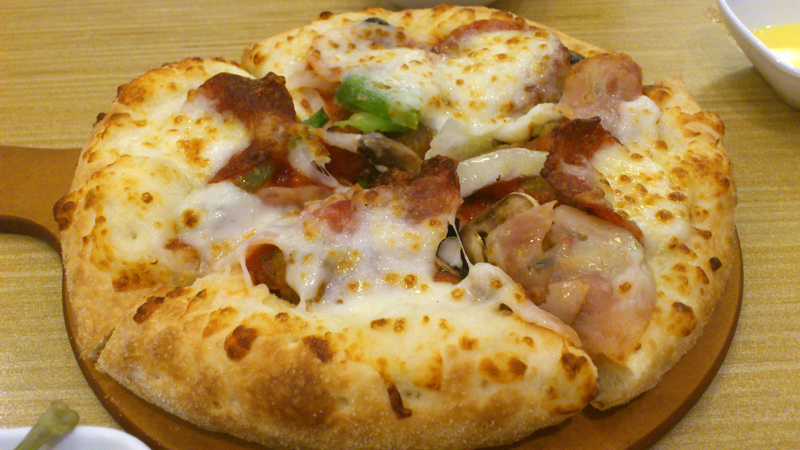 Limited to 1 free pizza redemption per voucher per purchase. 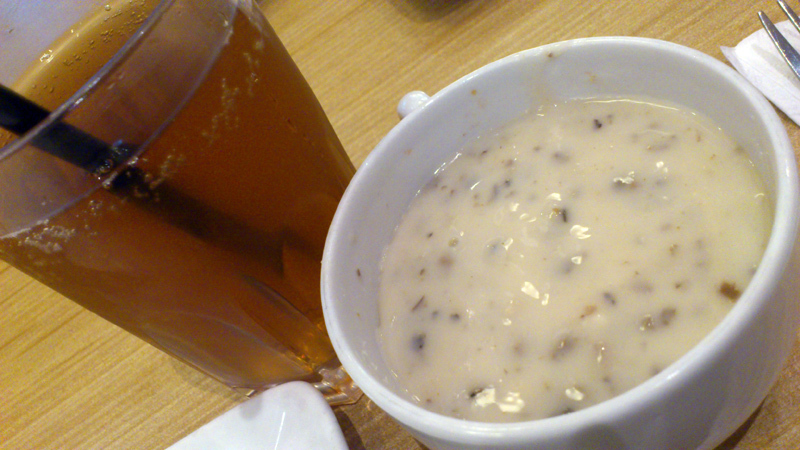 This entry was posted on Friday, March 23rd, 2012 at 7:38 pm	and is filed under Food Promo, Heavenly Klang Valley Food, Western Restaurant. You can follow any responses to this entry through the RSS 2.0 feed. You can leave a response, or trackback from your own site.